February 15, 2019 (subject to change due to government shut-down) Returns already filed with refunds including earned income tax credit (EITC) and the additional child tax credit (ACTC) are released for deposit. According to the IRS, deposits should be available in taxpayers bank accounts around the end of February. If you have questions about your refund status, please visit the IRS site Where’s My Refund. February 15, 2019 Most financial institution 1099s (1099-B, 1099-S) should be mailed out. March 15, 2019 All calendar year S-corp (1120S) and partnership (1065) tax returns due. April 15, 2019 All Individual (1040) and calendar year C corporation (1120) tax returns due or file an extension. April 15, 2019 1st Quarter 2019 estimated tax payments due (other quarter dates are June 15, 2019, September 17, 2019, January 15, 2020). October 15, 2019 Due date for extended individual income tax returns. This extended deadline is only for filing. If an amount is due, the deadline is April 15 and any amount not paid can incur penalties and fines. It happens to the best of us–April 15 (or 17th as it was this year) comes and goes without filing a tax return or extension. Even for those that file an extension, October 15 often comes and goes without filing a tax return. Don’t panic or fear that the IRS will come knocking on your door tomorrow, (remember the IRS does NOT usually call so anyone that calls you claiming to be the IRS is a scam) but they’ll more politely send a letter that will cause you a small heart attack. As soon as you are able to and even before you receive a notice from the IRS, file the return especially if you anticipate owing taxes on your federal or state return as interest and penalties start accruing after due dates. Underpayment Penalty–The United States income tax is a pay-as-you-go tax, which means that tax must be paid as you earn or receive your income during the year. You can either do this through withholding or by making estimated tax payments. If you do not pay your tax through withholding, or do not pay enough tax that way, you might also have to pay estimated taxes. If you did not pay enough tax throughout the year, either through withholding or by making estimated tax payments, you may have to pay a penalty for underpayment of estimated tax. Generally, most taxpayers will avoid this penalty if they owe less than $1,000 in tax after subtracting their withholdings and credits, or if they paid at least 90% of the tax for the current year, or 100% of the tax shown on the return for the prior year, whichever is smaller. Failure-to-Pay Penalty–If you do not pay the amount due on your tax return by the due date (April 15 for individuals), you will generally have to pay a failure-to-pay penalty of ½ of 1 percent of your unpaid taxes for each month or part of a month after the due date that the taxes are not paid. This penalty can be as much as 25 percent of your unpaid taxes. If you filed an extension and you paid at least 90 percent of your actual tax liability by the original due date, you will not face a failure-to-pay penalty if the remaining balance is paid by the extended due date. Failure-to-File Penalty–The failure-to-file penalty is generally more than the failure-to-pay penalty. So if you cannot pay all the taxes you owe, you should still file your tax return on time and pay as much as you can, then explore other payment options. The penalty for filing late is usually 5 percent of the unpaid taxes for each month or part of a month that a return is late. This penalty will not exceed 25 percent of your unpaid taxes. If you file your return more than 60 days after the due date or extended due date, the minimum penalty is the smaller of $210 or 100 percent of the unpaid tax. If both the failure-to-file penalty and the failure-to-pay penalty apply in any month, the 5 percent failure-to-file penalty is reduced by the failure-to-pay penalty. However, if you file your return more than 60 days after the due date or extended due date, the minimum penalty is the smaller of $210 or 100 percent of the unpaid tax. First-Time Abatement Relief–Good news, if you have been assessed the failure-to-pay or failure-to-file penalties described above, you may qualify for the First Time Abatement Relief program. The purpose of the program is to provide relief to taxpayers that are normally compliant with filing and paying their taxes on time. To qualify for the program, the taxpayer must have properly filed and paid their taxes for the prior three years. For example, in 2016 a taxpayer failed to file his or her tax return. When the return was filed in 2018, the IRS assessed additional penalties and interest on taxes owed due to failure to file and failure to pay the taxes on time. The taxpayer may qualify for First-Time Abatement Relief if he or she properly filed and paid their 2013, 2014, and 2015 taxes. The interest cannot be abated. Failure to File Penalty for Partnerships & S-Corporations–If you are an owner in a partnership or S-corporation filing forms 1065 or 1120-S, be sure to file your returns on time (March 15) or extend and file by the extension deadline (September 15). The failure to file penalty is a hefty one for businesses and assessed at $195 per owner ($200 for 2017) for each month the return is late, up to 12 months. If you are a 2-person partnership and file over a year late, penalties can be assessed at $4,680 or more. A potential abatement for small partnerships is available if 1) the partnership consists of 10 or fewer partners, 2) the partners are all US resident individuals or the estate of a deceased partner, and 3) each partner files their individual tax return on time. Like individuals, an S-corporation or partnership can abate the penalty under the first-time penalty abatement or a clean compliance history. One last way is under the reasonable cause abatement where circumstances like death, fire, undue hardship, etc made it so you couldn’t comply. If you have any questions about the above penalties or what penalties/fees apply at your state level, the First-Time Abatement Relief program, or need help filing prior years returns, please consult a tax professional. I don’t know about other tax professionals but the Tax Cuts and Jobs Act (TCJA) gave me a run for my money during the holiday season last year as I tried to get up to speed on all the tax changes. Some parts of the TCJA left me still scratching my head about what was and was not deductible, especially business meals. Under TCJA the 50% deduction for entertainment went away so that golf or basketball game with clients got a little more expensive. 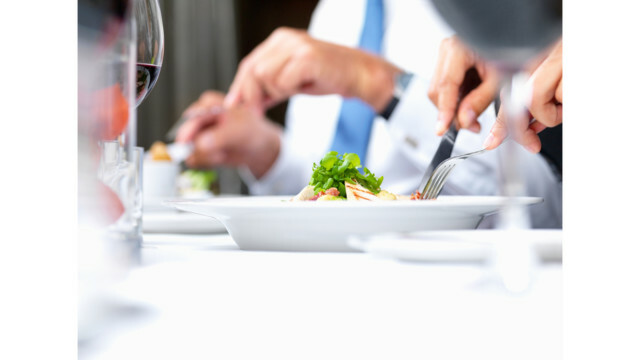 Business meals can still be 50% tax deductible if the taxpayer or employee of the taxpayer is present, the cost is not considered lavish or extravagant, and as with all business expenses must be ordinary and necessary for the business. Meals with current or potential customers, consultants, etc. fall under that 50% deduction. If you play a round of golf with a potential customer and then go to the restaurant for a meal, the cost of the round of golf is still non-deductible but the meal is 50% deductible. If you go to a basketball game with a consultant with the price of admission including a meal voucher, no part of the ticket cost is deductible. Meals while travelling were never off the table so they are still 50% deductible. Let me know if you are able to take advantage of this grant! For more information about 529 plans and how to maximize tax savings with Education credits available, check out this post. 529 plans may now be used for qualified K-12 expenses. Check out this post for more information. Thanks for hanging in there for filing status part 3 of 3! This part deals with Head of Household (HOH) which at face value should be another simple filing status to understand but from my experience can get a little hairy. Let’s go back to the question asked for the other two main statuses we’ve talked about–as of December 31 of the tax year in question, were you married? If the answer is yes and you weren’t legally separated or living apart for more than half the year, your filing options are MFJ or MFS. If the answer is no and you had no dependents/kids then your filing status is single. If your answer is no but you do have kids and/or dependents then it’s time to take a look at the Head of Household status to see if you qualify. Example time: Mary and her husband Bob are separated (not legally) as they go through their divorce. Bob moved out of the family home in May. Bob and Mary’s 10 year old son continues to live in the home with Mary. Mary works full-time and pays the mortgage and utilities and can claim her son as a dependent. As long as Mary and Bob file separate tax returns, Mary can file as Head of Household and Bob can file as single. If Bob didn’t move out until October then Bob and Mary would either have to file MFJ or MFS. What costs go into figuring if you paid more than half of them? Items such as healthcare, transportation, clothing, medical care do NOT go into this calculation. Money from public assistance funds like TANF do not count as your contribution to living expenses. If there are multiple people living in the same home, as long as you contribute more than any other person you qualify for “keeping up a home” for HOH status. Example time: Tammy is single and lives with her daughter age 4 (and can claim her as a dependent) and two other roommates. The total household expenses are $2,000 and Tammy contributes $800 of expenses while both roommate 1 and 2 contribute $600 each. Tammy is eligible to file HOH since she contributes a greater portion than her roommates. Example 2: Richard lives in the basement of his parents home with his son age 10. He buys the groceries for the house and pays for all of his son’s expenses. While he may be able to claim his son as a dependent, he doesn’t qualify for HOH status because he does not pay enough for the household costs. All of the above must have lived with you over half the year to be your qualifying except your mother or father or child who is a full-time student under the age of 24. For both of these, you must have provided over half their household expenses. Example time: Ed lives with his 19 year old daughter who works part-time and goes to school part-time. She makes $3,000/year and Ed pays all of her expenses so she can save up to live on her own one day. Ed’s daughter qualifies as a qualifying person (relative). Example 2: Simon & Ruth divorced in 2016. Ruth has custody of their boys (ages 6 & 8) 3/4 time, pays for over half the expenses of her apartment, and according to the divorce decree she gets the tax exemption for the boys in even years. For tax year 2017 Ruth can claim HOH with the boys as her qualifying person (child). Simon can claim them as a dependent but cannot claim HOH since they did not live with him over half the year. If the custody were closer to 50/50 it would be a good idea to consult with your tax advisor. Example 3: Richard & Katy are boyfriend and girlfriend and live together. Katy has no income and Richard works and pays the bills of their apartment and most of Katy’s expenses. Katy is not a qualifying relative since she is not related to Richard so he cannot file HOH. There are more special rules regarding the half the year requirement so if you feel like you have a special situation, consult your tax advisor as I don’t have the space here for that mentioned thesis. As always, if you have questions about this filing status, please contact your tax professional. To quote one of my all-time favorite movies The Princess Bride (must read with an intoned lisp), “Marriage, marriage is what brings us together today.” What brings us to part 2 of 3 for filing status are the filing statuses of Married Filing Joint (MFJ) and Married Filing Separately (MFS) with a brief nod to Qualifying Widow(er). To decide what your filing status should be, ask the basic question: as of December 31 of the tax year, are you legally married? If the answer is yes and you are not legally separated or living apart for more than six months of the year (for marital reasons and not different job locations), you can choose to file MFJ or MFS. MFJ means that income and other tax items from both spouses get combined into one tax return. Both spouses put their names at the top of the return. Even if one spouse doesn’t have any income, both spouses get listed at the top of the return and not as a dependent or something else. Both spouses need to review the return and sign as both are liable for the items put on the return. Common Law Marriage: If you live in a state that recognizes common law or the common law marriage began in a state that recognized it (Alabama, Colorado, DC, Iowa, Kansas, Montana, Rhode Island, South Carolina, Texas, Utah and potentially others) and you “hold yourself out to be married” which means that you tell the community you are married, call each other husband and wife, use the same last name, etc. you can file MFJ. Death of Spouse: You are considered married for the entire year in the tax year that your spouse dies and can file MFJ. If you remarry before year end, you would file MFJ with your current spouse and file an MFS return for the deceased spouse. For subsequent tax years, refer below to Qualifying Widow(er). Split tax liability: one spouse has a troubled background with the IRS and the other spouse just doesn’t want to touch it. Marital Issues: mostly when the couple will be divorcing but the decree hasn’t become official yet and they want to start splitting tax liability issues. Student loans: one spouse has an income based repayment plan for student loans and their spouse makes too much money. For the two years following the death of a spouse you can retain the tax benefits of MFJ by filing Qualifying Widow(er) if you have a dependent child. The child must be your child or stepchild that lived in your home all year and you paid more than half the cost of keeping up the home. Example: If your spouse died in 2017 and you had a dependent child in tax years 2018 and 2019, if you don’t remarry you can file as Qualifying Widow(er) in 2018 and 2019. Standard deduction and tax rates for 2018 are the same as MFJ above. Is your head spinning yet about filing status? If not, soldier on to Part 3 where we will cover Head of Household (HOH). Besides your name, address, Social Security number, and if you want to donate to the presidential election campaign (who really even looks at that?) 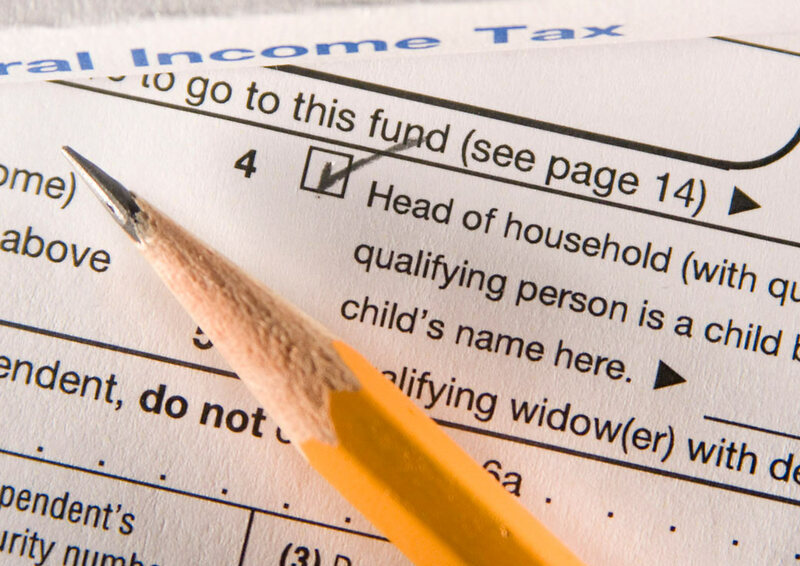 the first thing to mark on the 1040 Individual Income tax return is filing status. What is filing status? What are the tax differences between the each one? How do I decide which one to mark? Enter Part 1 of a 3 part blogpost on income tax filing status–read only if you really care about the topic or need something to help you fall asleep at night! Filing status is a category that determines what type of tax return file and the tax rates, standard deduction, and other tax laws that apply to your return. For most, filing status is a straight forward decision between the common ones of Single, Married filing joint (MFJ), and Head of Household (HOH) and closely resembles your marital status. This isn’t like Facebook where the world will see if you’re in a relationship or not but does adjust the bottom line of tax liability on your tax return. The first status discussed here is Single. The basic question is, as of the last day of the tax year (December 31) are you married? Another, do you have kids? If your answer to both is, it’s complicated, follow up with parts 2 and 3 of this series. If you are not married and don’t have kids, mark Single on the tax return. If you are divorced or legally separated with no kids, the Single filing status is for you too. If your status changed during the year, what counts is what that status was on December 31 as there are no part-year returns for MFJ and Single. More questions about filing status? Continue on to Parts 2 & 3. I might be dating myself a little here but ever since I started learning tax law (you know like back in the stone age when Amazon had yet to turn a profit and Google wasn’t a verb) the 1992 Quill Corporation v North Dakota decision held sway on the lack of sales tax of most internet purchases. The ruling basically said that unless a company had a substantial presence in a state (warehouses, employees, etc), it did not not have to collect and remit sales tax. This meant that a company based in Colorado making an online sale to an individual in New York didn’t have to assess sales tax. With online retail sales exploding (Amazon had $119 billion in revenue in 2017), traditional brick and mortar retailers have been crying unfair advantage with many states saying they’re losing millions or billions in tax revenue. The sales tax playing field may start to become a little more even and states may see more sales tax revenue with the most recent Supreme Court Ruling in South Dakota v Wayfair. South Dakota v Wayfair came to the Supreme Court because of a South Dakota law put in force May 1, 2017 that required vendors with over $100,000 in sales and making over 200 transactions in the state to collect and remit sales tax. The Supreme Court ruling in favor of South Dakota means the state can start collecting sales tax from major online retailers in 30-90 days. This ruling effectively opens a new can of worms for sales tax and online sales and I’m sure we’ll soon see other states enact similar laws (at least 20 have similar laws enacted or in the works). What does this mean for the future of Internet sales? Right now the small individual seller on ebay or Etsy is still safe from the intensive administrative task of keeping track of multiple taxing districts but time will tell how long that lasts. Large online retailers will more than likely have to follow Amazon’s lead of collecting sales taxes on direct sales. Hiding behind the 1992 Quill decision is no longer an option but more direction from the court and legislature is needed. With a new year and a few changes to rules/rates, here is an updated version of my pamphlet Tax Deductions for the Self-Employed. Also, if you have questions about the many changes to the deduction for meals & entertainment under the new tax law for 2018, here is a great reference.